The thought of a delicious steak may bring customers into your restaurant, but an overly tough and chewy steak will cause them to leave just as quickly. No matter how tasty a steak may be, it's not going to be well received if it is a chore to cut through and eat. In order to ensure your cuts of meat are as tender as possible, Royal Industries recommends its aluminum meat tenderizer. 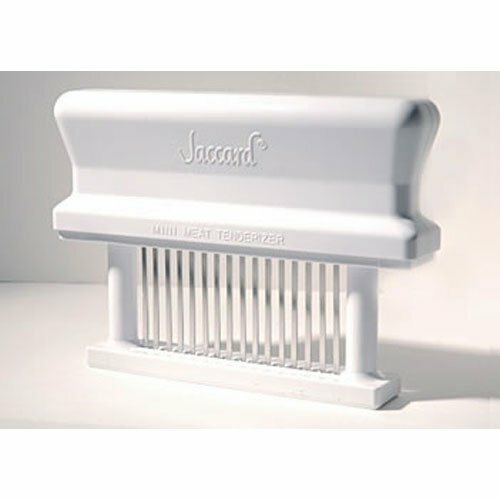 This tenderizer features 16 stainless steel blades that are designed to surgically cut through the connective tissue that causes meat to be tough.